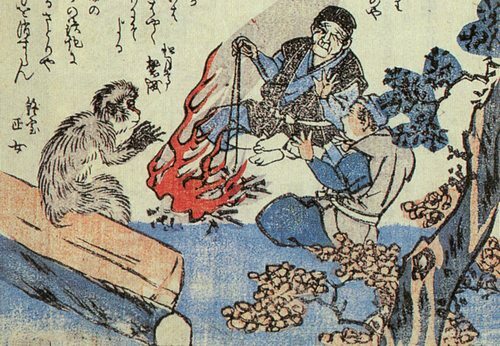 Japanese folklore is known around the world for being absolutely terrifying. There is just something about legends from Japan that manage to exceed others in the creep levels. 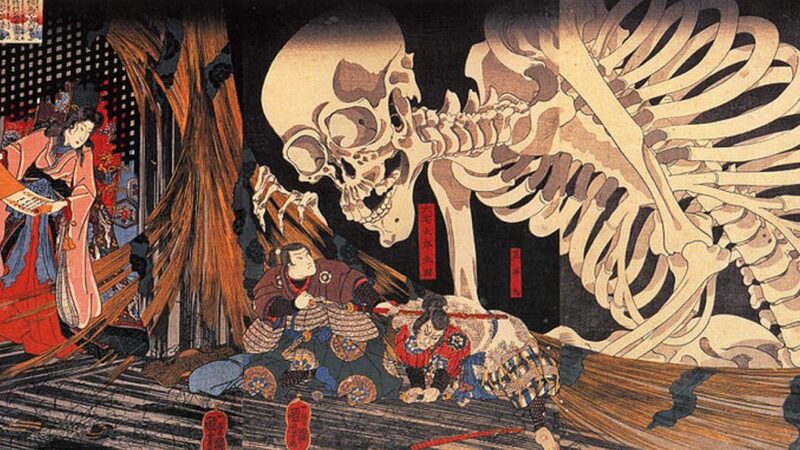 And the folkloric background to Japanese legends may be why there are so many scary movies from Japan. There are literally hundreds of Japanese monsters from legend. One of which is said to have cursed the family of Bruce Lee, killing him and his son Brandon. 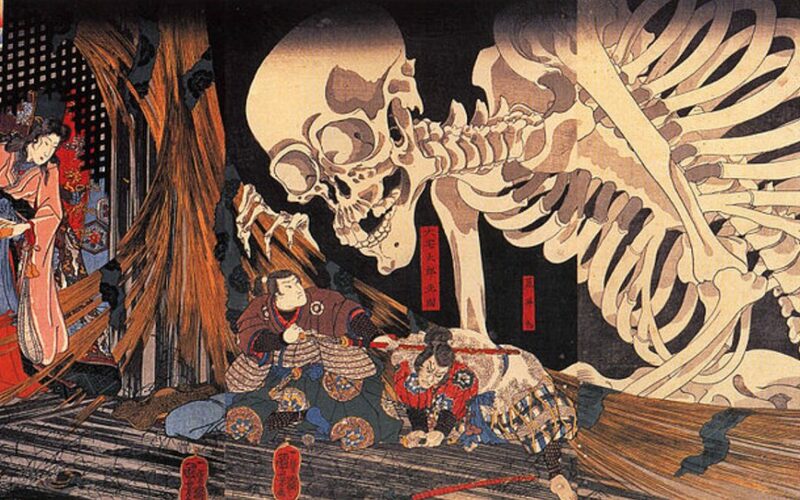 Some Japanese legends describe terrifying flying skulls and headless zombies. 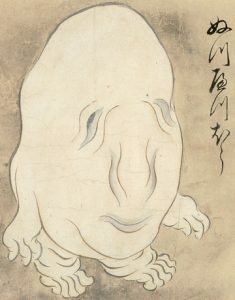 But some creatures from Japanese folklore are much more strange. Here are 10 creepy Japanese monsters to think about before you book that trip to Japan. The name Shinigami literally means “Death spirit”. It’s a supernatural species of creature that has an equivalent role as the Grim Reaper in European folklore. When someone is to die, these creatures will appear to claim their soul. 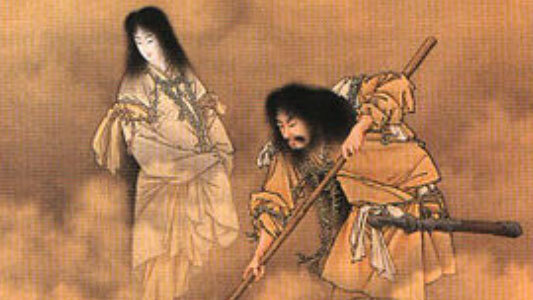 There are also legends describing how Shinigami would possess lone travelers and force them to walk into the mountains, never to be seen again. The only way to avoid being possessed and taken away while out alone at night is to drink a cup of tea before leaving your house. Failure to do so might result in you’re family never seeing you again. In the mountains, the Shinigami force their victims to commit suicide, as suicide victims didn’t make it into the afterlife. So those mountains are said to be haunted by the victims forever. 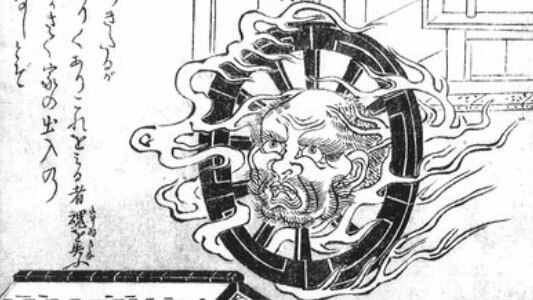 The Wanyudo is a flaming wheel with a human-like face in it’s center. That’s basically it – he floats around in the air frightening ordinary Japanese people. Apparently he is the spirit of feudal lord who treated his subjects brutally. Any of his subjects who disobeyed him would be tied to a cartwheel and beaten. As punishment for this, the gods denied him entry to the afterlife at least until he is able to prove the goodness of his heart. So he was transformed into this bizarre flaming wheel creature and instructed to guard the gates of hell. Anyone who approaches the gates of hell by accident suddenly sees the Wanyudo appear in front of them, screaming and flying through the air towards them. Like many Japanese monsters, Mikoshi-Nyudo is comparable to a goblin from European folklore. He is a bald goblin known for his incredibly long neck, and for wandering country pathways constantly. He appears to be a lonely Buddhist monk while walking along pathways, which really wasn’t an unusual sight in Japan. But when you get up close to him, you’ll notice his neck begin to grow. You watch as it gets longer, growing higher into the air. You will be in awe of the sight – and that’s when he attacks. Your neck will be slashed by his sharp claws and teeth. None survive their encounter with the Mikoshi-Nyudo. 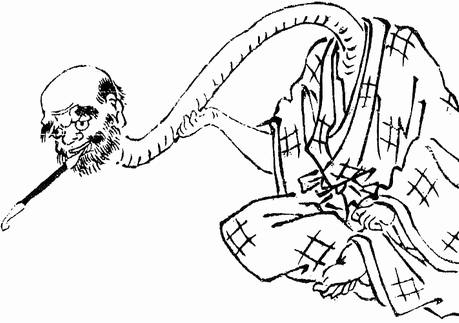 Satori is described in Japanese legends as a type of ape-like creature able to read people’s minds. They live in the mountains, approaching people who walk near. They sit down next to people who are camping out for the night, and reads their minds. The Satori then tell people what they are thinking in the person’s voice, as that was also one of their skills. They attack lonely travelers for food but are easy to scare away. And sight of fire or a sudden loud noise would do it. It’s thought that they only attack and kill people who mean them harm, as they can read their thoughts. 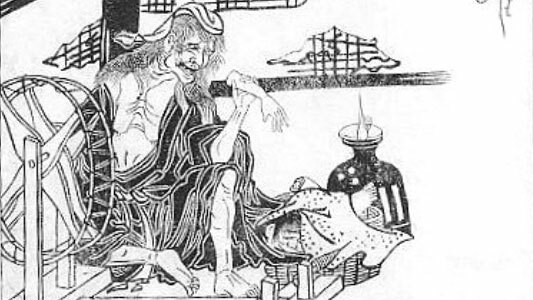 Onibaba is an evil demonic hag who takes on the appearance of a frail old woman in order to lure people close to her. But behind the appearance, she is incredibly powerful and survives on human flesh. She was once just a normal human, being the nanny to a high-status Japanese family. The daughter of the family was born cursed, unable to speak. A local fortune teller told them that the girl would not be able to speak until being fed an unborn baby fetus. So the nanny went out searching for someone willing to surrender their unborn baby to her. She found no one willing even after years of searching. The years of searching drove her insane, transforming her into the Onibaba, constantly searching for human flesh. She no longer remembers why she wants human flesh, so she eats the flesh herself. Eating human flesh turned her into the monster she now is. Although a living creature, the Nuppeppo is literally just a blob of human flesh. It’s a living, moving, animated blob of flesh. The creature is unable to harm anyone, but is still feared just because of it’s awful stench. Decaying flesh does tend to smell bad. It’s a lonely creature, aimlessly walking the Japanese countryside and spending it’s nights in abandoned Buddhist temples. As such a monstrous creature they cause distress to humans who happen to see them wandering past. It’s one of the few neutral Japanese monsters who mean humans no harm but don’t try to help them either. Legend tells that someone who eats their flesh may have their lifespan extended by several decades. 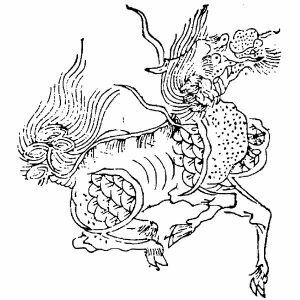 The Kirin is a strange creature which is said to be half-deer and half-dragon. So it has the antlers of a deer and the body of a dragon. 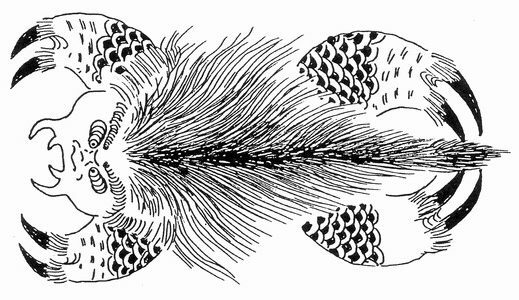 It’s body is covered in fish-like scales and it was always surrounded by raging fire. Like so many Japanese monsters, this creature has it’s origin in Chinese mythology and was equally feared in both lands. It’s was incredibly dangerous, able to destroy entire villages. But it’s said to be the protective creature assigned to the true emperor of Japan. Quite what that means is an issue of controversy for Japanese folklorists. 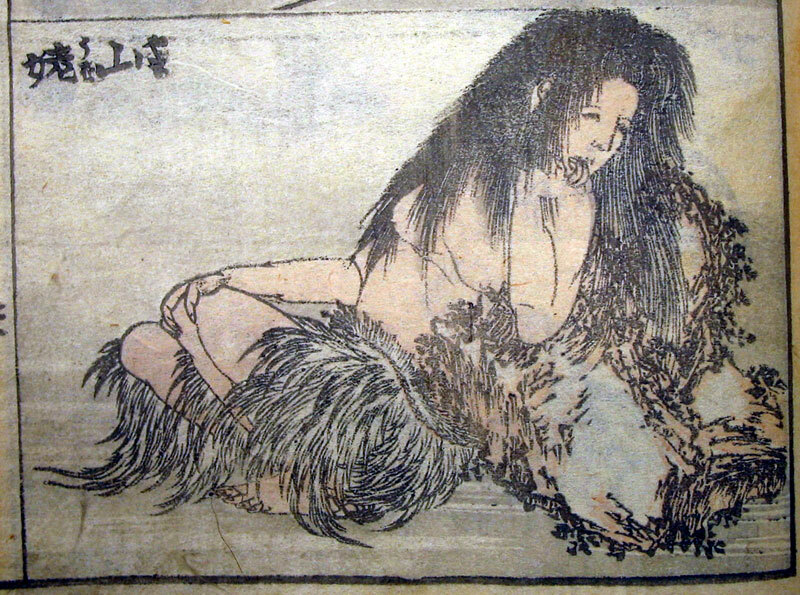 Yama-uba is a mountain-dwelling hag-like creature. Much like the hag mentioned earlier, they survive by feasting on human flesh taken from unsuspecting travelers. One notorious legend describes a time when a pregnant woman was travelling through the mountains alone when she suddenly went into labor. Screaming for help, she was approached by a friendly old woman who took her to a nearby cave. In the cave the younger woman gives birth with the old woman’s help. But the old woman then reveals herself as the Yama-uba, running away with the newborn child. It’s the classic story – they lurk in mountain passes waiting for victims to walk by, always posing as a kind elderly woman. You may be wondering why so many Japanese monsters live in the mountains, and so am I. The Gashadokuro are a type of giant skeleton said to be 70 feet tall and their bodies are made from combining the bones of 15 people who died of starvation. They are born from battlefields and burial grounds where 15 dead bodies lie and their souls seek revenge against those who killed them. Their way of seeking revenge is to literally kill any humans they encounter. The biggest problem is that they can’t be killed and they have the power to become invisible whenever they wish to. A Raiju is a shape-shifting creature who arrives on earth in a bolt of lightning during thunderstorms. It usually takes on the form of a cat, a fox, or a wolf. But they can take on the form of any small animal. They are almost always harmless, but not so much during thunderstorms. During these, they are shockingly violent. They jump at people and bite at them like in Alien. The whole thing is just a nightmare. Their true form is depicted in the image above. Their appearance alone places them among the most creepy Japanese monsters.